Thank you for joining me as we count down to the next MFT release. We are four days away from the big day! All the new Stamps, Die-namics, and Stencils will be available on Tuesday, April 7 at 10:00pm EST. Be sure to check out the MFT Blog to see all the new items being revealed today. Don't forget to leave a comment on the MFT Blog Countdown posts, YOU could win one of the five $75.00 gift vouchers. I have a fun card to share with you today, it features the seriously cute You Gnome Me stamp set and Die-namics from Birdie Brown. Soooo cute! I stamped the images on X-Press It card stock and I coloured them with Copics. I added a little sparkle to the gnome's beard with the Wink of Stella pen. Once I finished colouring the images I die-cut them with the You Gnome Me Die-namics. I curved the sentiment to work with the images. 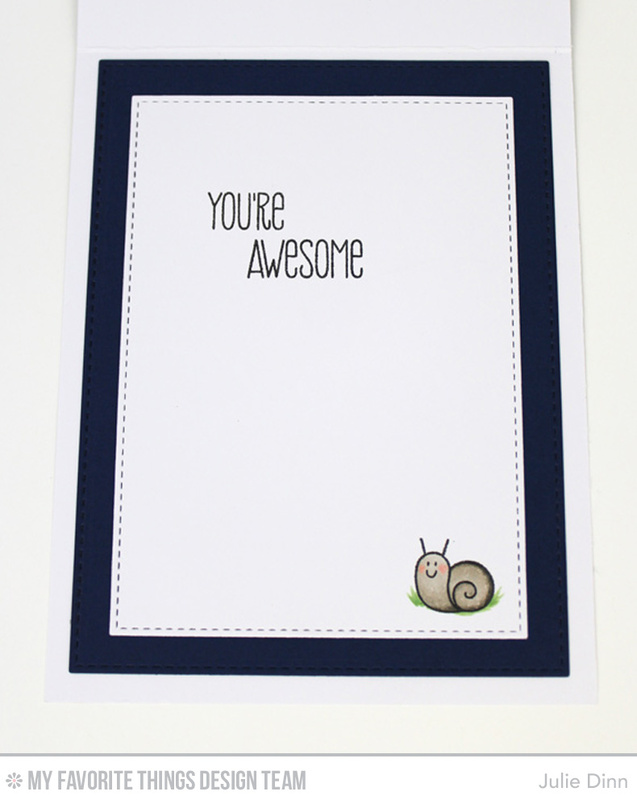 On the inside of the card, I stamped a sentiment from the You Have My Heart stamp set. I also added a sweet little snail. This is adorable. I love that you have him on top of the shroom! What a FUN layout! So clever! The knomes are awesome! and they even have a great toadstool. Really cute Julie. I love your Copic skills. Super cute card! 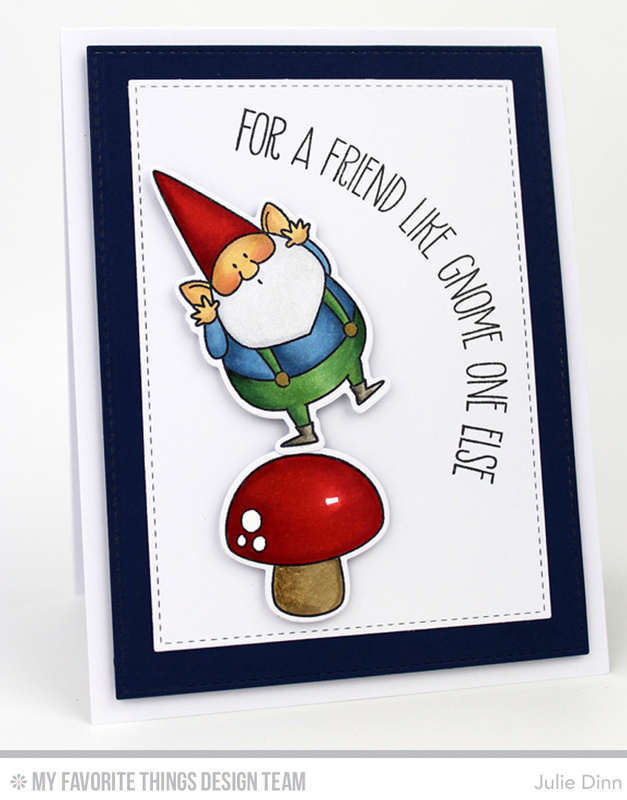 I love how you stamped the adorable gnome on top of the mushroom...creative! adorable CAS card, so sweet!!! Gnomes, mushrooms and snails..... too cute!! !